Anytime you have recurring pain in muscles, tendons and joints, your body is telling you there’s an ongoing problem! If you’ve tried different painkillers and other remedies with no success, then you’re probably experiencing episodic pain, the type of pain that keeps returning. Your body is telling you need to find the source of the constant pain and treat it right away. The most common reason for this type of reoccurring pain is soft tissue injuries. Most people with soft tissue injuries describe a feeling of pulling, tightness, and burning sensations in muscles, joints, and tendons. Whats happening is the slow build up of scar tissue or adhesions. Scar tissue in and around your muscles or tendons will give you the feeling of imbalance, degeneration and pain from your surrounding muscles and nerves. 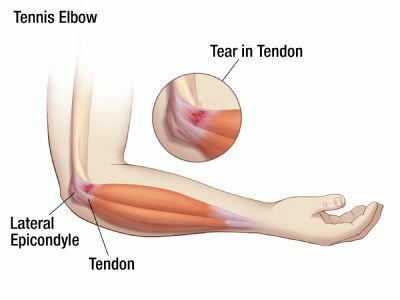 The picture below will show you how injuries to muscles and tendons form scar tissue (adhesions) and continue to ad scar tissue and slowly become more painful. As the picture shows it’s a vicious cycle that just keeps getting worse without treatment. 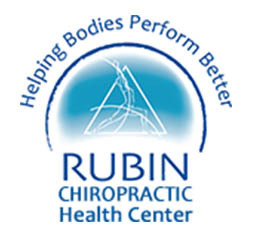 Let Doc Rubin give you an exam today and you’ll find out if “Active Release Technique” will work for you! 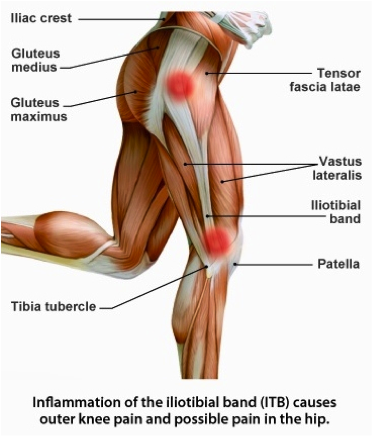 Scar tissue or adhesions will build up anytime you have an injury as shown in the graph above. And as the graph shows it’s an endless circle of pain that continues to add scar tissue to the injured area. Unfortunately this will prevent any two layers of muscle or tendons from moving past one another in a smooth movement. The pain your experiencing is the two layers of tissue or tendons that are rubbing up against each other, causing you pain, which is your body’s way of telling you to: Stop Doing What Your Doing Now. Scar tissue or adhesions allowed to build up will cause weakness in your muscles causing them to become shorter. The muscles when not allowed to lengthen will not be able to contract, which is painful and you won’t be able to do everyday task. This leads to a cycle of repeated injury and painful episodes where everyday movements become harder and harder. This repeated straining to move causes microscopic tearing when you stretch or use the muscles involved. Scar tissue doesn’t allow oxygen or blood to get to the muscles, ligaments and tendons. This loss of blood flow to the affected area will cause more tissue damage and inflammation, which causes constant pain in the affected area. Scar tissue also pinches the nerves in the affected area causing another source of pain and in many cases atrophy of the muscles, which can be disfiguring and cause more weakness. Scar tissue also disrupts the stabilizer muscles and this leads to an imbalance and altered motion of the joint. The unnatural movements you’re making to compensate for the pain is causing continuous strains and injury’s to the areas around the scar tissue. Think of all the repetitive movements you make everyday. Long hours at your computer, practicing your serve in tennis, sewing, running everyday, etc. The pain from these types of movements is subtle in the beginning, but here is where repetitive comes into play. Many times it’s a small pain and you barely notice it, but you’re about to be introduced to microscopic tearing. This very small injury heals itself and it leaves a small amount of scar tissue behind. This happens over and over again and you’ll feel slight pains or a twinge. Let a little time go by and the scar tissue grows large enough to cause real pain that interferes with the activity that caused the pain to begin with. Micro-trauma Injuries are caused by repetitive tasks with small movements and little rest time between movements. Working in fixed postures for long periods of time and hard and forceful movements done over and over again are also good examples. Poor or bad posture is one of the worst and the most common causes. Here’s why, your muscles are in a constant state of contraction without getting a chance to rest. 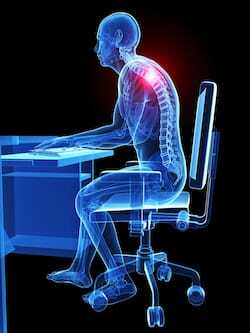 Poor posture also restricts blood flow and scar tissue builds up in the affected muscles. Constant Tension in muscles will shorten your muscles, restricting your blood flow and you guessed it, scar tissue. When your muscles are tight, they consistently burn energy. This requires a constant need for oxygen, glucose and other nutrients. When the blood flow is pushed out of the muscle there’s no way for nutrients to get to the muscles involved. The muscle fibers will starve and chemical damage occurs, causing inflammation, tissue hypoxia and the building of scar tissue. Active Release Technique breaks up scar tissue, or adhesions. Scar tissue forms in your muscles, and joints. It limits the normal range of motion in your joints and muscles, because damaged muscles are tough and inflexible when compared to healthy muscle tissue. Scar tissue compresses and pinches nerves, causing trigger points and pain to limit normal movement and allows the formation of more scar tissue. When scar tissue forms your joints or tendons become strained and then your nerves become compressed. ART will stop the formation of new scar tissue which is the cause of your pain. When the scar tissues growth is stopped and your natural way of moving is restored, you’ll feel like new again. You will always get a physical examination of the areas that are hurting you from Dr Rubin. This is always done before beginning any treatments to identify the muscles, ligaments, and nerves that are causing your pain and discomfort. During an ART (Active Release Technique) session, you’ll be asked to perform movements to shorten and lengthen the muscles and tendons that have been identified as the problem areas. Dr Rubin will apply small amounts of pressure to the areas previously identified to break up the adhesions. You control the level of treatment. You’ll have increased flexibility in all of the areas we treat: most patients notice improvements after just one treatment! You’ll notice increased flexibility and less pain and more flexibility in the areas being treated. Active Release Technique is very effective for lower back pain, which is the number one problem with most adults. ART is proven to help break up scar tissue and release compressed nerves in the lower back. Carpal Tunnel Syndrome is another huge problem in America: this always presents with a loss of hand mobility and swelling and pain from nerve compression. Our patients show improvement in symptoms and severe pain almost right away. Muscle recovery is one of the biggest uses for Active Release Technique, and has become the go-to treatment for serious athletes. ART is the fastest way to restore muscle and connective tissue while restoring flexibility, which is very important for athletes who need to get back in the game! Is Active Release Technique Painful? There may be some mild soreness and discomfort after treatments. Most patients begin feeling relief right away from the pain they have become used to living with for far to long. We’ll work with you to find a schedule that allows you to heal quickly, while not experiencing to much discomfort. As a rule, the professional athletes we treat receive ART treatments at least one or two times per month, while you might benefit from just one treatment monthly. Active release technique soft tissue manipulation breaks up scar tissue, which relieves pain. ART will improve your range of motion and give you more flexibility which relieves pain. When ART is performed by a trained Doctor in an office setting there is very little discomfort. Apply Ice to the areas of treatment for 20 minutes on and off. Dr Rubin will show you a range of stretches to help you heal. Gently stretch problem areas to work the areas of the muscles involved. Always drink plenty of water to help remove toxins that have built up in your body. Make sure you take the time to rest for at least an hour. Warm showers will relax your sore sore muscles after you rest. Calcium/Magnesium supplements will help. We have them in our store at the office. Active Release Technique is a hands-on therapy to treat soft tissue injuries. Muscles, tendons and nerves will all benefit from ART. 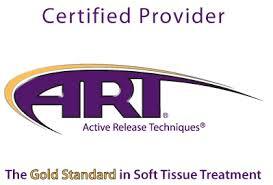 Dr Rubin will find the injured tissue and physically work with that tissue until its back to its normal texture, tension and length. He will also find muscles and tissue that has developed adhesions in or between them. Adhesions are scar tissue that builds up between muscle layers and acts like glue stopping the normal motion in the tissue layers. ART breaks up adhesions and allow the muscles and nerves to move freely. Restoring nerve and muscle movement will allow your body to perform at normal levels again. ART works quickly in most cases. You will usually experience results in just a few visits. Four to Five visits is usually all that’s needed. More severe cases will need more treatments to reach resolution. Is ART the same as massage? Active release technique is a hands on treatment like massage, but it differs in that it utilizes patients motions. Massage can help with tissue damage if it’s done well, but is never as effective as ART. We will combine ART with massage by one of our certified massage therapists for comfort during treatments, when needed. Do the Active release technique treatments hurt? Active release technique treatments are not painful. Most people find that they feel good because they provide such a high level of relieve. Remember your treatments are always performed at your tolerance level. Everyone’s tolerance for discomfort is different and we respect that. Your comfort is our number one concern at all times. Will ART help the entire body? Active release technique is great at helping many different soft tissue problems. Dr Rubin has treated muscle and nerve injuries in all areas of the body, from nerve impingement such as Carpal Tunnel Syndrome to chronic tension headaches and Plantar Fascitis.